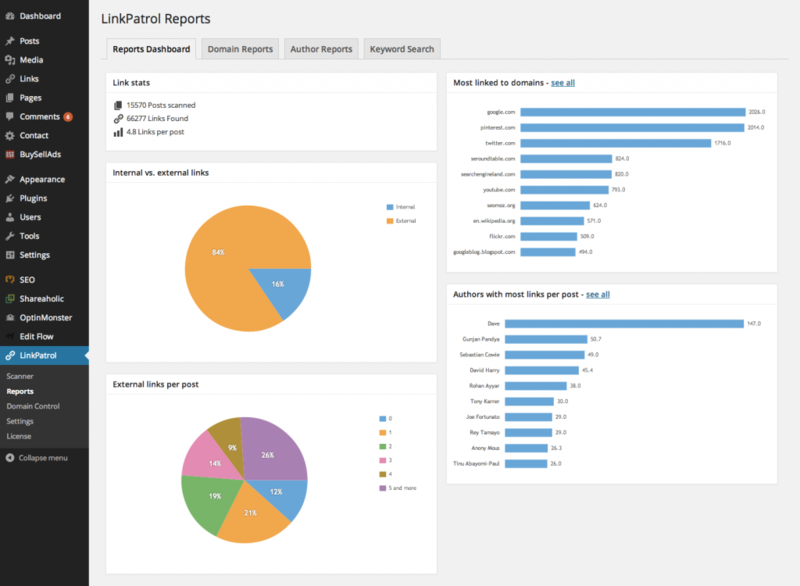 You can access reports in LinkPatrol > Reports page. There are three types of reports – Domain Reports, Author Reports and Keyword Reports. Data from all reports can be exported as CSV files.